Innovation is one of the most highly prized values in business today. 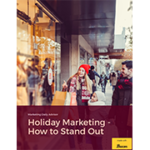 Here’s how to showcase innovation in your marketing. Organizations are constantly looking for ways to develop innovation, whether it’s creating the context for a more engaged and experimental workforce or pushing the boundaries on what’s possible in product development. Innovation can have a positive effect on different sectors of the organization. However, marketers face an important challenge: finding a way to communicate an organization’s innovation storyline to help attract the industry’s most engaged investors, profitable customers, and press attention. 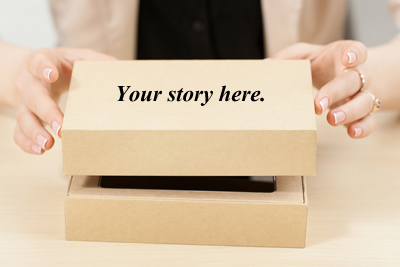 Here are three ways to help showcase your brand’s innovation storyline in your marketing efforts. Put your audience into the story: Innovation is often an abstract topic. Yet, when you put your audience into the story, it shapes the context for understanding innovation on a deeper level. Think about innovation through the lens of product development. How does a specific product or service innovate on what’s traditionally offered? Does it take the customer experience to a new level? Use your audience’s perspective to help make your idea of innovation more concrete. Show how it makes a difference and takes your own company’s contributions to new heights. Challenge underlying beliefs and assumptions: Innovation is about change: ideas, systems, and the way that we approach problems. For example, consider how organizations have long handled employee reviews. Managers rated their employees and then adjusted responsibilities and compensation based on those insights. Innovation happened with the introduction of 360-degree reviews that provide advancement based on a wider range of perspectives. Look at the past or current approaches to problems, and then show from both a process and output standpoint how you offer something different. Be clear about how the outcomes lead to better results for customers, and where possible, offer concrete examples. Highlight specific points of innovation: One manufacturing and design company I’ve worked with has done a terrific job showcasing its brand’s innovation. For example, the company doesn’t just talk about the organization’s commitment to sustainability—it explores how it is the first in its industry to join an international sustainability coalition. Its storytelling showcases how its tools don’t just compete with other businesses but offer features no one else in the industry does. Don’t just tell the market you’re innovative. Get specific with examples of how you’re creating new ideas, bringing interesting products and services to market, and approaching business in a fresh or interesting way. Innovation storylines are an important factor of how to market and stand out in today’s busy industry. Take the time to blend innovation themes with your corporate storytelling, and you’ll stand out as a pioneer to prospective customers and beyond.